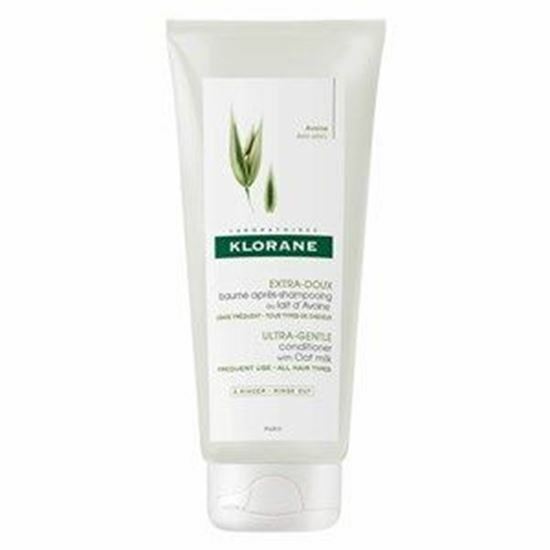 Klorane Oatmilk Ultra-Gentle Conditioner delicately conditions your hair and is a soft and silky formulation enriched with French Oatmilk extract. Smooth all over the hair and then rinse away to enjoy lightweight volume and radiance. The conditioner gently detangles the hair without tugging or pulling, and eliminates static electricity to ensure no ‘fluffiness’ or unruliness. The soothing and protecting oatmilk extract ensures that the hair is well moisturised, whilst also respecting the natural balance of the scalp. The gentle formulation is ideal for the entire family, and it is also suitable for everyday use. Towel dry hair and apply along the lengths to the ends. Leave for 2-3 minutes, comb through and rinse well.